Emma specialises in all aspects of employment law. She predominantly acts for employers, including a number of plc’s, retailers, football clubs and independent businesses. However, Emma also acts for individuals and advises one of the UK’s largest trade unions. 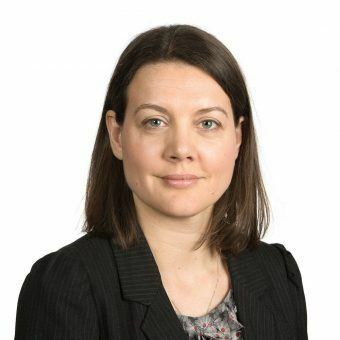 Emma’s contentious work covers the whole range of Tribunal claims and non-contentious experience includes drafting policies and contracts. She also advises on compromise agreements and post termination restrictions as well as providing general employment advice through designated helpline services. Providing bespoke employment law training. Conducting a wide range of Employment Tribunal claims including unfair dismissal, discrimination and breach of contract. Successfully acted for claimants in the Industrial Tribunal of Northern Ireland. Emma enjoys socialising with friends and family and likes to keep fit by running and playing tennis.